20% off a case! 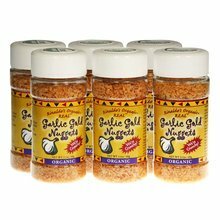 An incredible blend of our hand crafted, organic and delicious Garlic Gold Nuggets with the fresh, rich taste of organic Parmesan cheese. Sprinkle on pizzas, pastas, garlic bread, popcorn and more. 20% off a case! 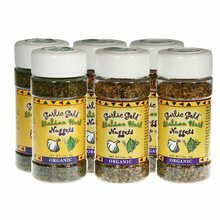 An incredible blend of our hand crafted, organic and delicious Garlic Gold Nuggets with the fresh, rich taste of organic Parmesan cheese. Sprinkle on pizzas, pastas, garlic bread, popcorn and more. 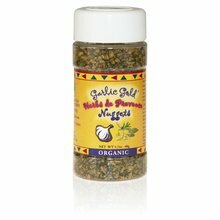 Our Parmesan Nuggets add great flavor to your meals. One case is six 2.2 ounce bottles. Ingredients: Organic garlic, chopped and toasted to crunchy perfection in organic extra-virgin olive oil, organic Parmesan cheese.